Believe it or not, the current BMW 7 Series has been around since 2015. I remember it for that time Motor Trend literally ripped the hockey stick-shaped trim off the side of one. Well now there’s a refreshed one coming, apparently, because it appears to have leaked. Twice. It would seem BMW is following Genesis with the trend of bronze-colored body trimmings. How unfortunate. The only update I really seem to like is the set of wheels on the third car there above. Those are nice. I will never accept this large of a grille, and I will never accept the horrible outcome of trying to render those bronze-colored exterior pieces. The only question left is: What can Alpina do to fix this? 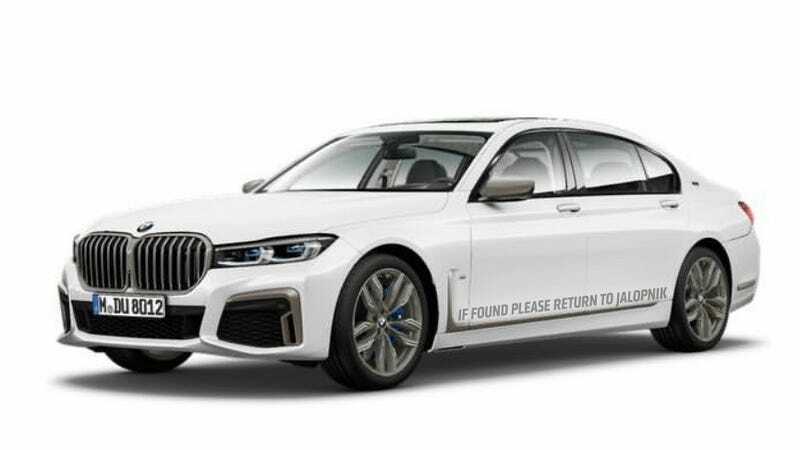 Anyway, I guess we can expect official details of the new 7 Series sometime soon. It wasn’t really on my radar.